If your residential or commercial property has a dry well system, Vac-Tec LLC can help ensure that it keeps working at its best at all times. We can be called for dry well cleaning services on a regular basis and for dry well repair when the need arises. Over time, your dry well system can develop a number of issues as it constantly collects storm water run-off from driveways, walkways, and patios to keep the yard dry. Our company offers comprehensive dry well repair services in the Carbonado, WA area. With us handling your dry well repair job in Carbonado, your dry well problems will soon be a thing of the past. 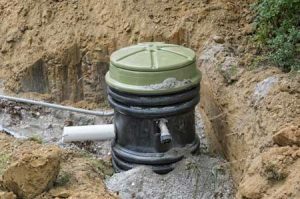 It is important to have dry well systems installed only if it is right for the property. Yards with heavy clay soil or soil with slow infiltration rate would be better off with a different type of drainage solution. 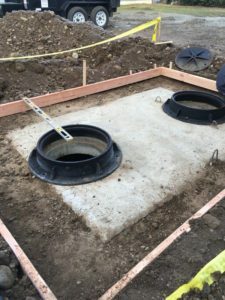 Proper dry well maintenance, however, is essential for extending the efficiency and longevity of a dry well system even when the conditions are ideal for it. We are happy to service and repair the dry well system on your Carbonado property to keep it running without any problems. Do not worry if you observe your dry well backing up and causing water to pool in the yard. Our technicians have vast experience in dealing with dry well drainage problems. 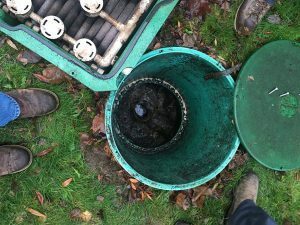 You can count on them to resolve the issue hampering your dry well and even guide you in minimizing the dry well problems in your Carbonado property in future. To learn more about how Vac-Tec LLC can help keep the dry well system on your Carbonado property working great, call (253) 777-4887.